Sign up for Broadjam today to follow The Band MenO, and be notified when they upload new stuff or update their news! 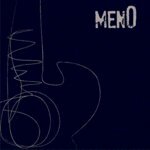 MenO's debut album is a compilation of Andres Mena's original Acoustic Rock compositions. All songs in this album are about Andres' real life experiences. These were mainly very personal poems turned into simple songs.